Fleuves are strong and hardy horses from Senegal. They are related to Barb Horses. They can withstand extreme temperatures of cold and heat. They were bred to be work horses to carry packs, transport, and work in agriculture--even though they are a light breed. In the equestrian world they live longer, are really hardy, easy keepers, and have an excellent immune system. 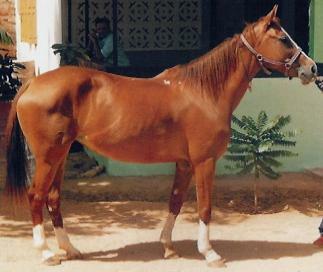 They range in size from pony size to horse size, however, 14 hands is the most common height. Their color tends to be gray like their Barb ancestors. They do, however, come in other colors, as well, such as brown or bay. They are a rare breed and are mostly seen in Senegal.